One way to enjoy the fruits and vegetables from your garden all winter long is to can them. 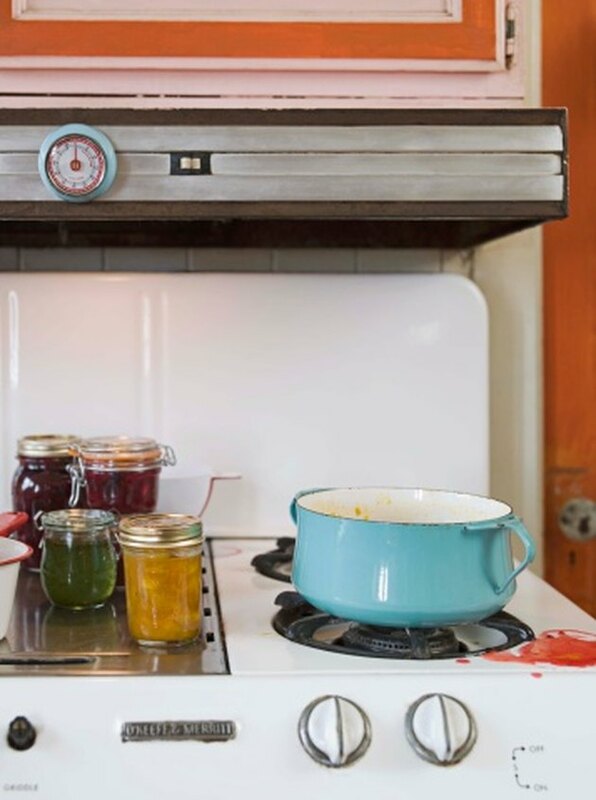 Home canning is a process of heating food in jars at high temperatures. The heat deactivates enzymes and kills microorganisms that cause food spoilage. The process creates a vacuum seal and requires special jars. Ball has been a favorite among home canners for generations. Removing a ball jar lid to enjoy the fruits of your labor is a bit different than opening a standard lid. The flat part of the lid and the lid ring are two separate pieces on a Ball jar. A rubber lid opener is handy for removing Ball jar lids. Hold the Ball jar on a flat counter securely in one hand. Twist the lid ring counterclockwise with your free hand and remove it from the jar. Use a rubber lid opener if the lid is extremely tight. Insert a lift-type can opener or a butter knife between the seam of the flat lid and the top of the jar. Pry the flat lid off the jar with the can opener or knife until you can grab it with your fingers. Lift the lid completely off the jar.